UShape is not like anything out there. Unlike liposuction, UShape is nonsurgical—which means noincisions, anesthetics, or recovery time. And unlike other fat reduction procedures that use heat or freeze fat, UShape is painless and leaves no visible signs of treatment. Ushape adopts High Intensity Focused Ultrasound (HIFU), which deliver focused energy at a precise depth and disrupts localized fat deposits. It’ s a non-invasive way for fat reduction and body contouring of the abdomen, thighs and flanks, which offers patients ' satisfactory experience with impressive and long-lasting effects. With many other non-invasive fat reduction technologies, such as radiofrequency and lasers, energy is highly absorbed or scattered near the skin surface, thereby limiting penetration into subcutaneous fat tissue and delivering only temporary results. 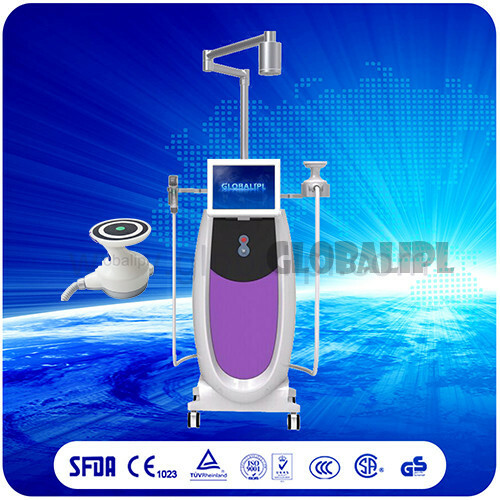 Ultrasound energy, on the other hand, can be used to penetrate through the skin layers and into the targeted fat tissue without harming skin or surrounding tissues. Other ultrasound body contouring technologies often use low-intensity, low-frequency, or unfocused energy which can require multiple treatments and lead to unpredictable results. The Ushape system uses high-intensity focused ultrasound energy to non-invasively destroy targeted subcutaneous fat and deliver uniform, predictable results after a single one-hour treatment. High Intensity Focused Ultrasound penetrates focused and volumetric ultrasonic energy at precise depth (1.2 cm) in subcutaneous fat layers targeting fat tissue causing a non-thermal effect. The surrounding structures such as the epidermis, blood vessels and nerves will not be damaged. Meanwhile the metabolized contents (triglyceride, fatty acid) of cells will excrete outside body automatically through blood circulation and lymphatic drainage without harm to the human body. 1.We are 25 years Gold Supplier. 5. Imported raw materials materials,competitive price. Send your inquiry Detail in the below for product CLICK "SEND' now!! !